As no doubt you are aware, the Penge Road (Goat House) bridge has been closed on and off over the past few months for improvement works. This work is due to be completed in February 2014. Last week we sent home a letter regarding the closure of Tennison Bridge which is about to be closed to traffic. The bridge which dates from the 1920’s is to be replaced with a new structure which they say will last for at least 120 years. Preliminary work has started on the bridge. The main work will commence in September 2014 and will be completed in the spring of 2015. Pedestrian access over the railway will be maintained at Tennison Road at all times. However, we know that many of you travel by car from this direction. The closure of this bridge will make the congestion on our local streets worse than it already is. Could we ask that as many families as possible park their cars away from the school area and walk for the remainder of their journey. 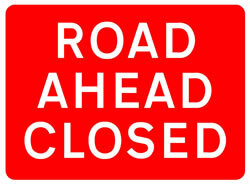 We appreciate that these road closures are going to cause considerable disruption. We will suspend late marks for all children who travel from this direction for the period of the bridge works. We have set up a meeting with the contractors to discuss ways in which we can work together to help our families access our school site during this time. Details of te planned replacement of Tennison Road Bridge including before/after images can be found here: http://planning.croydon.gov.uk/DCWebPages/AcolNetCGI.gov?ACTION=UNWRAP&RIPNAME=Root.PgeDocs&TheSystemkey=137178.